May Allah ta’ala shower His mercy upon the great champion, Muhammad Ali, who passed away at the age of 74. Ali died Friday at a Phoenix-area hospital where he had spent the past few days being treated for respiratory complications. The iconic boxing champion was known all over the world for his exploits in and out of the boxing ring. His courage and sense of conviction will be forever noted by so many. As he stood up against the Vietnam War and sacrificed some of the prime years of his boxing career, he fought against deep racism that engulfed America with a vigorous voice and the same wit that he showed as a boxing showman in promoting his fights. He demonstrated great fortitude in seeking to help others as he suffered from Parkinson Disease. 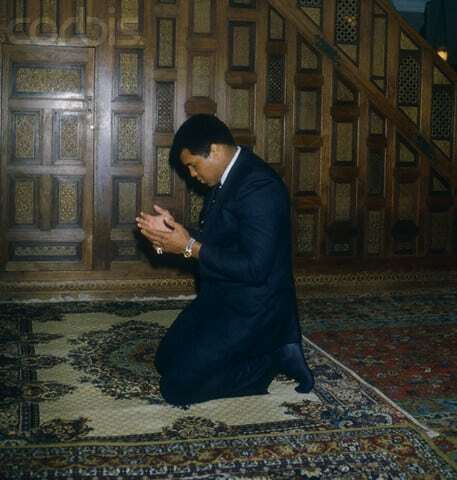 Muhammad Ali along with other iconic Muslims like El-Hajj Malik Shabazz and Imam Warith Deen Muhammad (may Allah be pleased with them) served a major role by the grace of Allah in introducing so many Muslim Americans to Islam! May Allah forgive him his sins, make his grave spacious, and have mercy on him.